Before you send your newsletters to all recipients, Newsletter2Go gives you the option of sending your draft to up to 10 email addressees for free with our newsletter tool. This enables you to check quickly and easily whether your newsletter looks like it is actually supposed to and that your newsletter personalisations appear as intended. With our collaborative features you can create and comment on newsletters in a team, thereby increasing your efficiency. 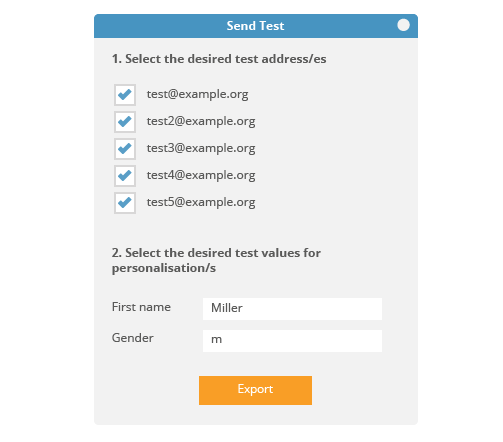 You can discuss and evaluate your newsletter after the test send with your colleagues, which simplifies your workflow and your communication.